Are you using DraftSight on a Windows based PC? If so, read on, you’ll need to run this fix as soon as possible. Basically, there is an issue with an Expired Certificate. What does that mean? 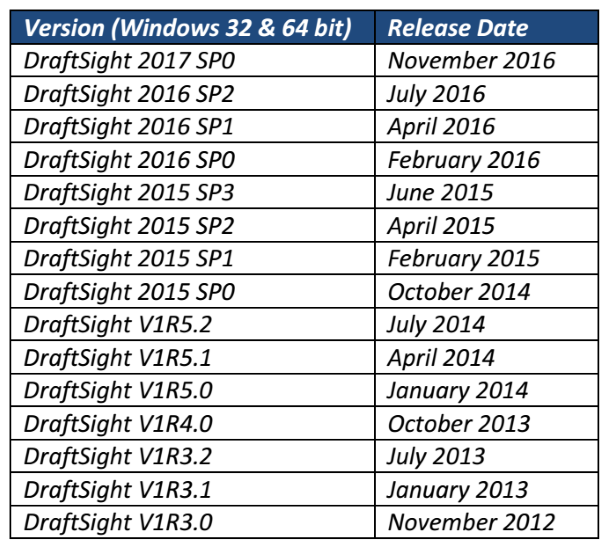 Well it means that as of March 1st 2017, all versions of DraftSight released from 2012 to 2017 SP0 (both 32bit and 64bit) will stop working. The full list of affected products is detailed below. Don’t panic though, there is a simple fix available. First go to the DraftSight Download page and download the hotfix. Once the file ( DraftSight_HotFix_2017R.exe ) is downloaded, run it. Just follow the onscreen prompts and pretty soon your copy of DraftSight will be patched and will continue to work past the March 1st date. As we mentioned above, this hotfix is only for Windows users, the issue does not affect OSx or Linux users at all. In other news, DraftSight 2017 SP1 will launch in the coming weeks. This updated version of DraftSight contains the hotfix and other improvements / fixes. Me too. I’m having the same problem PLEASE HELP! What version of DraftSight have you installed? Is it one of the versions on the list above? Have you tried downloading and installing DraftSight 2017 SP1? Me too, After format my pc then reinstall a software. DraftSight 2017 with SP1 also give this message “None of the products defined in this hortfix are installed . Your system has not been modified”. Ran the fix as suggested and I am now able to run Draftsight 2015 x64 on my Windows 7 machine again. Thanks! Just to note, the fix made me run it as administrator.